I think my hubby is rather awesome. I would call him a Jack of all trades... he's a great husband, father, pastor, parrot owner, unicycle-wannabe-rider, handyman, computer nerd, ex-hairdresser and birthday cake maker (well, he doesn't actually 'make' the cakes but designs them afterwards). In the past he's made a really cool Indiana Jones cake and an Incredible Hulk cake for the boys. 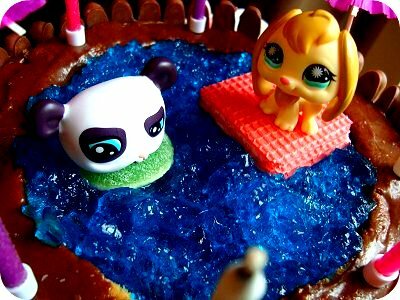 This year Miss 6 asked him (while batting her eyelashes) to make her a Littlest Pet Shop cake... so he decided to make her a "pool party" one. It's amazing what you can do with a bought round sponge cake, some blue jelly, chocolate finger biscuits and a couple of your child's toys. 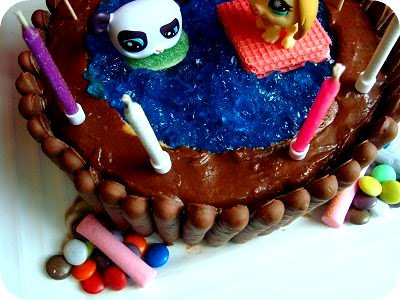 You could pretty much make any type of 'pool party' cake using your kids favourite toys. I think he did a pretty amazing job for a guy who doesn't normally enter the kitchen (except when he's looking in the fridge for something to eat or trying to find the treats I've hidden from him). I love this - so cute. Great idea using a store cake. did it taste ok? 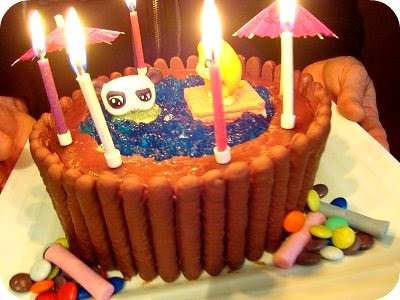 I had a jelly pool cake when I was 9 but no one ate it. Love that your hubby is the creator of master piece cakes. That is fabulous. It is very cool. 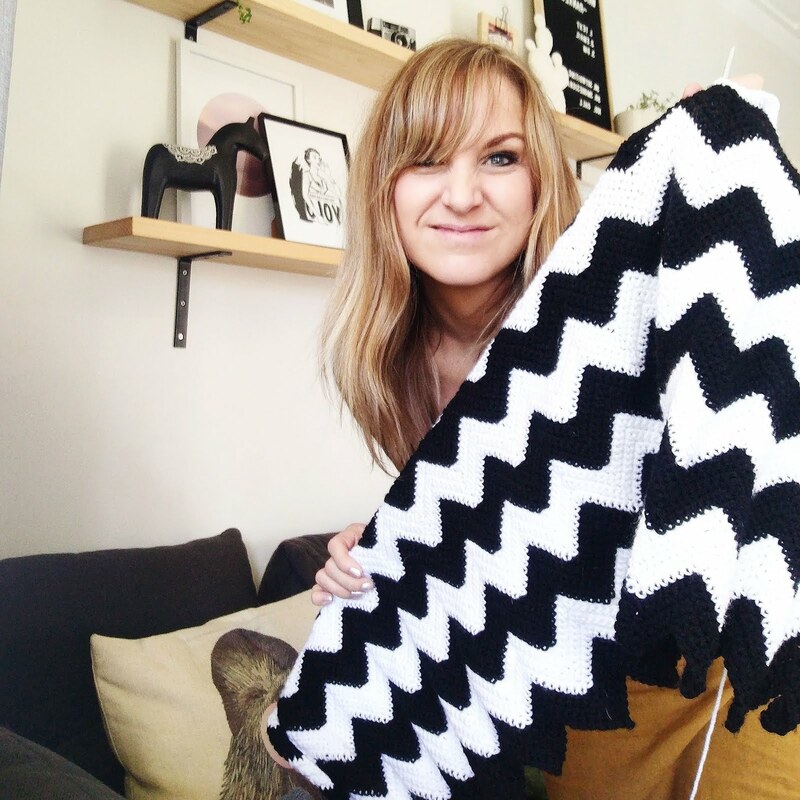 Most impressed Syms!!!! Didn't he do well, good Mr Jack of all trades. Cute cake! My hubs makes and decorates cakes too. Which is a good thing, because I have no patience for them! This is a fantabulous cake!! 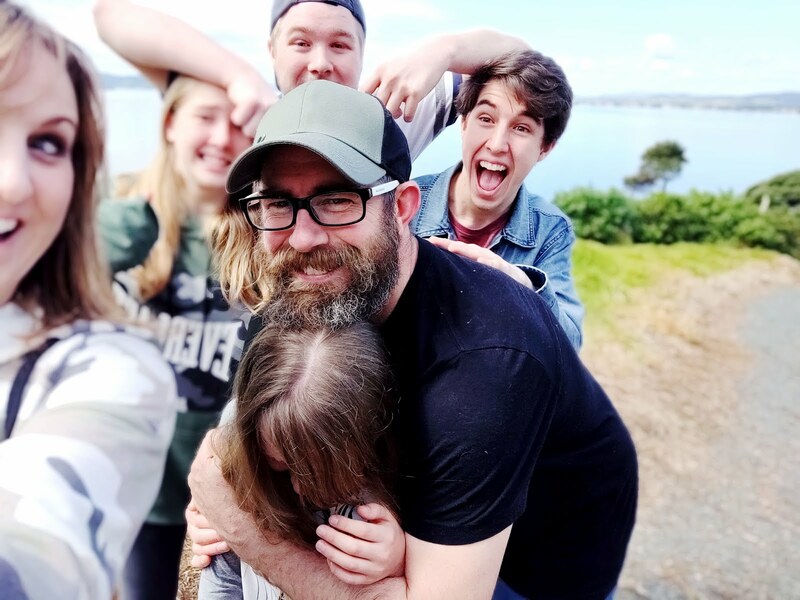 He's an awesome daddy!